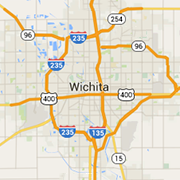 WICHITA'S BEST AUTO HAIL REPAIR EXPERTS ARE READY TO WORK! If you have hail damage on your vehicle, come in today for your FREE estimate!! 2. WE PAY YOUR DEDUCTIBLE FOR YOU!